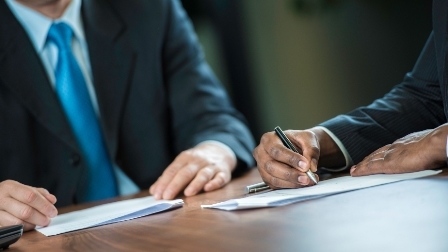 A common pitfall for negotiators is going in with a firm and fast idea of the result they’re looking to achieve, business coach Lynda Bayada says. While defining your goals is crucial, focusing on one ideal solution can close your mind to other alternatives and see you hit a standstill if the other party has different ideas. “It creates a barrier between you and the other party because you’re not looking for possibilities outside of that,” she says. Take the time to clearly define what you really need to achieve from the negotiation – not what you want or the solution you would prefer, but concrete needs. If the other party is able to shape a solution of their own that aligns with your needs, it will also give them a sense of empowerment. “They’ve made that decision themselves so they own it and become more committed to it,” Bayada explains. Defining clearly what the problem is that you’re looking to overcome, and isolating that problem from other factors, is another crucial step in preparing for a negotiation. “People will often define a problem alongside the people that are involved,” Bayada says. “We need to be very careful that we’re not assigning blame to anyone, that we can take the emotion out of it and start looking at this objectively rather than subjectively. In this pre-negotiation phase it’s often a good idea to enlist the help of someone you trust. This person can be used as a sounding board to bounce ideas off, and can also help dig down to discover what your true wants are and what the issue is from your perspective. Once you’re clear on what you’re heading into the negotiation to achieve, it’s important to go in with the right mindset, Bayada says. People are often worried about giving anything away in the beginning of a negotiation, but by maintaining this attitude negotiators often hinder progress. A crucial part of getting the negotiation process moving is to state your objectives up front, Bayada says. “You’ll get some parties that come in with their cards close to their chests, and if both parties are doing that there’s really not a lot of room for movement and one party has got to give. Using cooperative and collaborative language and ensuring you are actively listening to the other party – rather than concentrating on your next move – will help to move the process along. “We all want to feel like our side of the story is valued, and when you’re coming into a negotiation you can very easily show that you support the other party through active listening,” Bayada suggests. Once the ideas start flowing and solutions start coming to the table, it’s important to thoroughly test any solution before going ahead. “Real estate professionals are often very adept at this, but it’s so important to ensure you’ve chosen an option that is realistically viable before you go ahead,” Bayada says. Time is of the essence in any real estate deal, and indeed any business deal. When deadlines are involved it’s essential to check in regularly to ensure the other parties involved are keeping on track, Bayada advises. And this checking in extends to post-negotiation too – something that many otherwise successful negotiators forget. Follow-up times will vary with the type of negotiation and relationship, but a good general rule of thumb is to contact the other party in writing about the results of the discussion within 24 hours. After the initial written follow-up it’s a good idea to set up a checkpoint around a week later. Negotiation tactics will vary, Bayada says, but going into a negotiation with a clear understanding of your purpose and an open mind to listen to that of the other party will serve you well in any tricky situation that may arise in business or life.